Designing and manufacturing a customized display ensures you get the best product possible—one that perfectly suits your needs. And after the consideration, time and money you put into that display, you deserve a flawless product. Few things are more frustrating opening a package to find that your fixture is damaged. 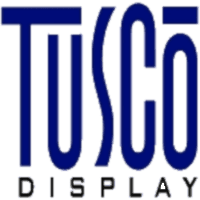 At Tusco Display, we believe that assembly and packaging is an unheralded, but key part of the process. Our customers rely on our expertise to create customized displays for product launches, which makes proper delivery, packaging and assembling even more critical. Launches are time sensitive; we recognize that every fixture that arrives damaged means a delay in displaying your product and making sales. That’s why our process often includes prototyping and staging the resulting display in your store to make sure we’ve done our job as your partner. At Tusco, we’re proud of our track record of less than .005% returns. To help us provide the best service possible, we put a postage-paid card in every fixture package so the installer can alert us to problems and suggest solutions. There are a variety of fixture possibilities and we are constantly improving our packaging methods to best package and deliver them in a manner that is most efficient for the installer to unpack and assemble. Assembly and packaging is a Tusco specialty, from fully assembled product-ready fixtures to strategically arranging components so that they can be uncrated in exactly the order needed for installation. Not only that, we offer custom-designed packaging, assembly instructions and tools. When it comes to choosing a custom display partner, your ultimate decision should go to a company that can meet your design and production needs and be trusted to deliver the fixtures that will actually help you sell your product. The job of your custom display partner doesn’t end at delivery. They play a critical role in the quality assessment and assembly of your new fixture. Are you looking for a partner to help you create a custom display? Contact us today or call us at 740.206.8298 and we’ll help you get started.